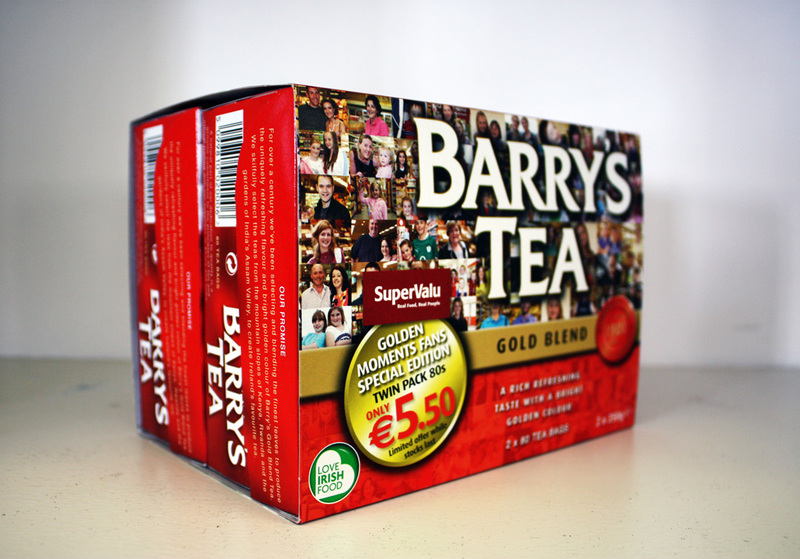 This is Barry’s Tea community box 2011, featuring my portraits of Barry’s Tea drinkers shopping in Super Valus all over Ireland. Edel & I delighted with this turn of events for you. It’s a super collage of people & places. Warmest congrats & much love.